I’m a big romantic at heart. I love love. And I don’t see any difference at all whether it’s love between man and woman, man and man or woman and woman. It’s all equally beautiful and normal to me. And since it’s so normal to me, I sometimes wrongfully assume that it’s just as normal and beautiful to the rest of the world. So when I realise that there are still people out there today that do not feel that way at all, it still manages to catch me by surprise. The fact that there are still people out there that look at that love, that is natural and beautiful to me, and feel hate instead, is just completely unbelievable and painful. Though there is still so much pain, hate and intolerance in the world, at the very least I do think we can say that the book world has slowly been catching up. The selection of LGBTQ books and just the overall diversity in books has been growing steadily. Which I think is a positive thing. After all, aren’t books a good way for people to learn about others, to learn empathy and to broaden your views on the world? Not that books alone will solve everything, far from it, but I do believe they are a good vessel to spread love instead of hate and build awareness. 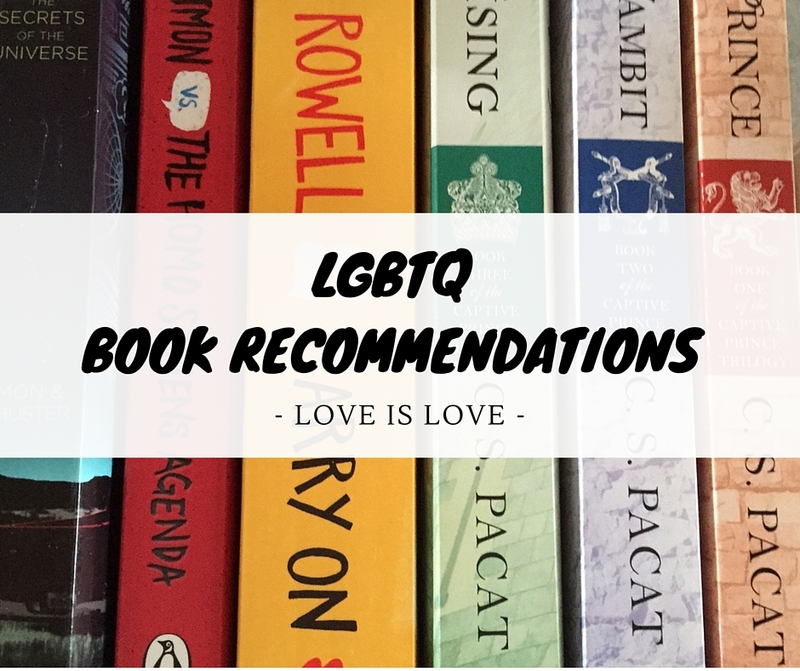 With that in mind, I wanted to take a moment today to talk about some of my favorite LGBTQ books out there. Some I’ve already read and loved and some are still on my TBR list. I know this is only a small selection, so please let me know in the comments if you have any other book recommendations for me! I’d love to hear about them and check them out. Note: I personally don’t consider the fact that a book is LGBTQ as a spoiler. However, if you do, please don’t continue. I also talk a bit about books where a secondary character is LGBTQ. I don’t mention any names or give any spoilers as to the story, but again: if you consider this a spoiler in itself, please don’t continue.